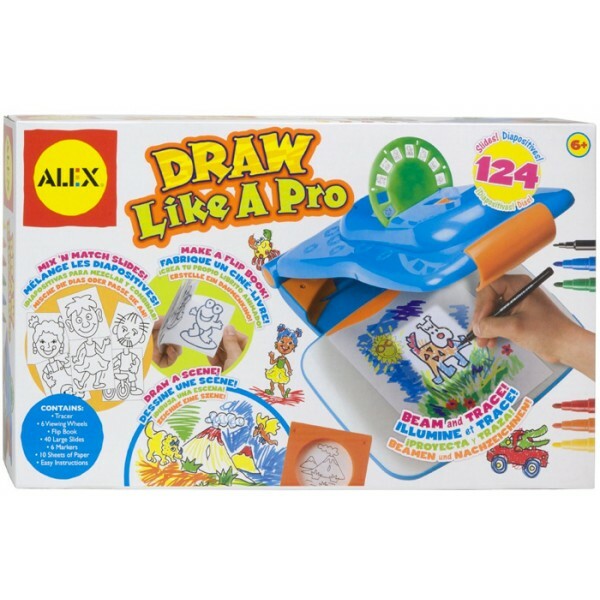 This Draw Like A Pro Studio from Alex Toys is a fun and easy way to draw...just turn down the lights, switch on the projector, insert a preprinted slide and trace away! 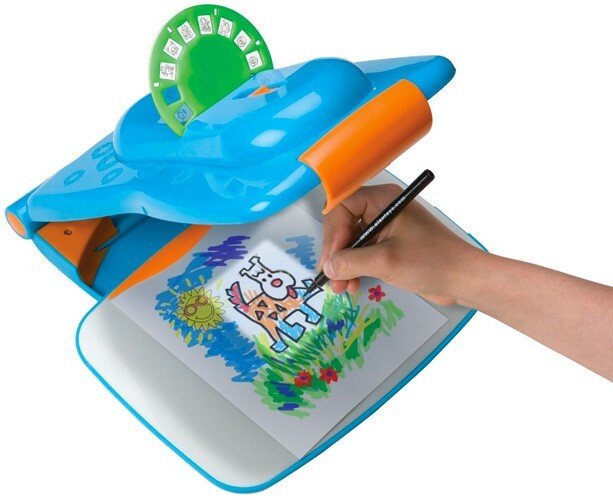 This drawing station includes preprinted slides that allow children to create 3 types of artwork. There are mix and match heads and bodies to create characters; tilt the light forwards and backwards to change the size of the projected image to make wacky proportions. 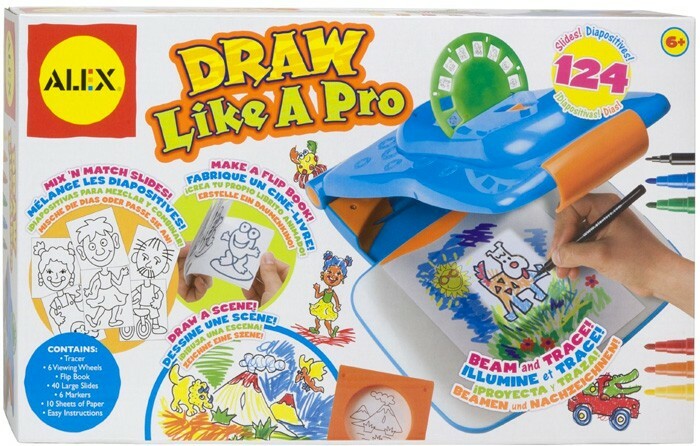 Draw a scene by tracing different elements from the scene slides -- move your paper left and right to combine a volcano, dinos and plants to make a prehistoric scene. There is even a wheel of slides so that you can make your own flip book with precut pages and a flip book clip. This set comes with 124 slides, 6 markers, 10 sheets of paper, and a flip book.